The E4980A offers high accuracy and high speed. AGILENT Technologies has introduced a high-performance precision LCR (inductance, capacitance, resistance) meter for component R&D and manufacturing engineers. 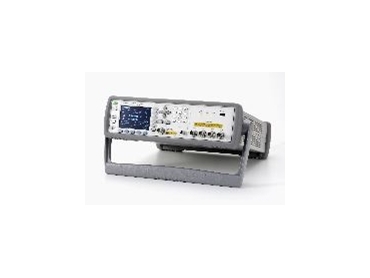 The Agilent E4980A offers high accuracy and repeatability from 20Hz to 2MHz, fast measurement speed and outstanding performance at both low and high impedance. As a follow-up to Agilent's market-leading 4284A, the compact E4980A includes a modern PC interface and is five times faster, resulting in enhanced productivity and a lower cost of test. The mobile, PC, consumer electronics and automotive component markets, drives component, semiconductor and equipment manufacturers today. To accurately evaluate high-quality capacitors, inductors, transformers, semiconductors and electromechanical devices for those markets, manufacturers require an LCR meter that offers both fast and highly accurate measurements. The E4980A offers high accuracy (0.05% basic accuracy) and features outstanding performance at both low and high impedance. This translates into improved test efficiency and measurement reliability. The unit's high speed (5.6ms at 1MHz) improves test throughput and increases production yields, allowing manufacturers to make lower-cost devices. The meter supports LAN, USB, and GPIB, as well as powerful test signal support (20Vrms signal, 40 Vdc bais), making it easier to manage multiple instrument setups and improve data collection time. Additional features built into the E4980A include support for 40A dc bias current source for conducting highly accurate and efficient dc current-biased inductance measurements, a dc resistance/voltage/current measurement readout for performing simultaneous evaluations of dc characteristics and 10Vdc source output port for evaluating three-terminal devices.